Artists living in and paying tax in the UK need to stay on top of changes to tax and national insurance contributions. There's a major boost for the amateur artist! to £11,500 in April 2017. The Personal Allowance is the net revenue you can earn after expenses allowed by HMRC and before any tax is paid. It relates to your total income in a tax year - not just the income you earn from art. Anybody using a personal services company as a vehicle for providing artistic services to the public sector will find that in future all tax on their earnings will be deducted at source. The move is targeted at those trying to evade tax. I don't suppose there are many people this will affect - but it will impact significantly on those that are. The State Pension is changing for people who reach State Pension age on or after 6 April 2016. ​The new State Pension will replace the existing basic and additional State Pension and end contractingout and the National Insurance rebate. Last week's Budget proposes to make some changes to National Insurance which will impact on self-employed artists who don't make a lot of money from their art. The changes apply from April 2018 - so a little while to wait before the change will be noticed. ​The Class 2 NI contributions for all self-employed individuals are being scrapped. Class 4 NI contributions only will still have to be paid - but only by those who are self-employed and making more than £8,060 profit before tax per year. it saves about £134 p.a. for those earning more than £5,965 pa and less than £8,060 pa. There was also some good news for self-employed artists, with the chancellor announcing that Class 2 National Insurance contributions (NICs) for self-employed people will be scrapped from April 2018. Currently, the self-employed have to pay Class 2 NICs at £2.80 per week if they make a profit of £5,965 or over per year. Class 4 NICs are also paid if profits are over £8,060 per year. From April 2018 only Class 4 NICs will have to be paid, with this now contributing towards state pension entitlement and other contributory benefits, which is currenly what Class 2 contributions go towards. The intention is that the self-employed should still be able to make arrangements for creating contributions for a pension relating to their self-employed status - but the government haven't yet explained what these are. One more thing - for all those using insurance policies for their art activities. 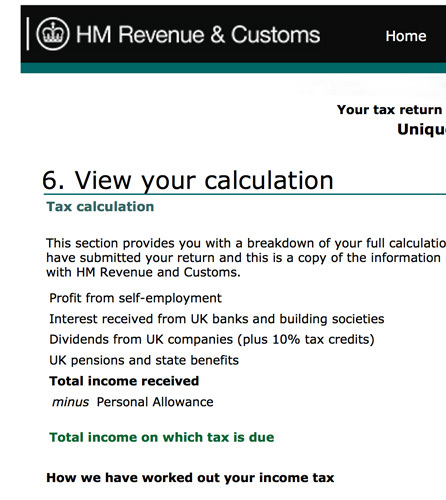 Gov.UK - Budget for your Self Assessment tax bill if you're self-employed - useful for those who have income from their art. HMRC - Budget 2016: tax-related documents This page now contains all Budget 2016 tax related documents from HMRC and links to documents from HM Treasury. IPSE: Budget 2016: What does it mean for the self-employed?